The final hurdle before Torrot’s GasGas Rally Team concluded its brilliant return to this competition, taking its three riders to the finish line in Córdoba. Johnny Aubert rounded off his magnificent performance over two weeks of competition with a 5th position in the last special, his best result in the rally. The French rider made his return to the Dakar this way, six years after his first participation, achieving a remarkable 6th position in the overall rankings. 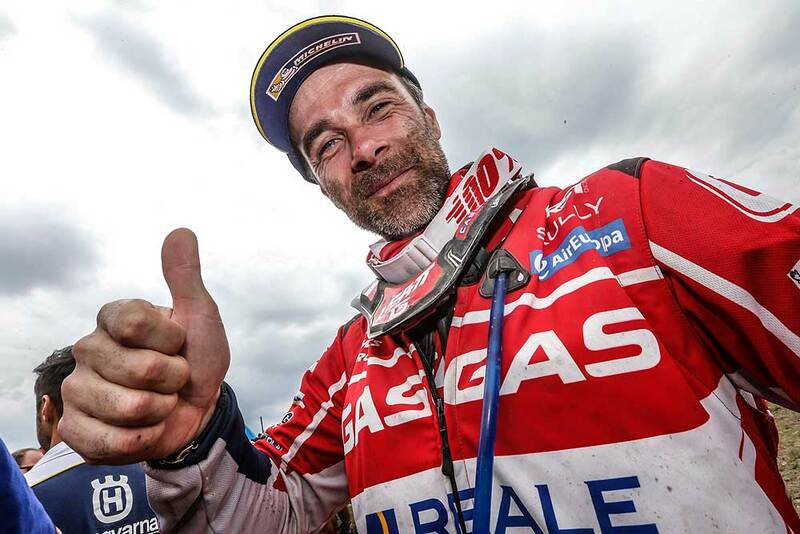 "We finished the 2018 Dakar, and finished in 6th position," said a happy Aubert. "I am very happy. Just a year ago I had my shoulder operated on and I had to do 8 months of recuperation, so this result is the reward for having maintained my faith at all times. I want to thank the whole of the GasGas Rally Team for all the work we did before and during the race. Thanks also to GasGas and Torrot for trusting me and to Jordi Arilla for doing everything possible so that I could be myself in the rally. Now I'm looking forward to getting home and seeing my family and friends." Jonathan Barragán completed his first Dakar in a well-merited 15th position and as the second best 'rookie' of the competition. "I am very happy to have reached the end of the Dakar," he said with a smile. "It was quite hard, especially the second week, but we did it and the three of us riders did it. I think Johnny, Cristian and I have done a great job over these days. I want to thank GasGas and Torrot for giving the opportunity to all three of us and for allowing me to make my dream come true. After linking the Enduro World Championship with the Dakar, I would like to rest first, and then focus on the rallies, because I really liked this experience." Finally, his teammate in the GasGas Rally Team, Cristian España culminates his spectacular comeback this final week by finishing in the 30th position. "I am very happy because GasGas and Torrot have put its trust in me. We have all worked very hard from the first day to the last and it is that which brought us through to the finish. We have fulfilled the objective that we had set ourselves, which was to get our three bikes to Córdoba and finish the Dakar," he said after the Rally. "Sharing a team with two riders like Johnny and Jonathan has been an incredible experience. They are World Champions and also wonderful people. We always helped each other and we have become a very united team. I am very happy to be here and for being able to do my bit. I would like to continue with this great team where I have been received with open arms and they have always offered me the best. I am very grateful and I hope to continue helping them in the future." The 40th Dakar Rally has come to an end in Córdoba, with the triumphant return of Torrot’s GasGas Rally Team to the competition after two years without participating. "I have no words to describe our satisfaction with this result," finalized Team Manager Giovanni Sala. "We are very happy with all our riders, for the incredible enthusiasm they have put into the race, also with the mechanics and with the whole team. I think we have raced an extraordinary Dakar. We are all very happy and excited to have seen our three bikes reaching Córdoba without problems and without any injuries to our riders. 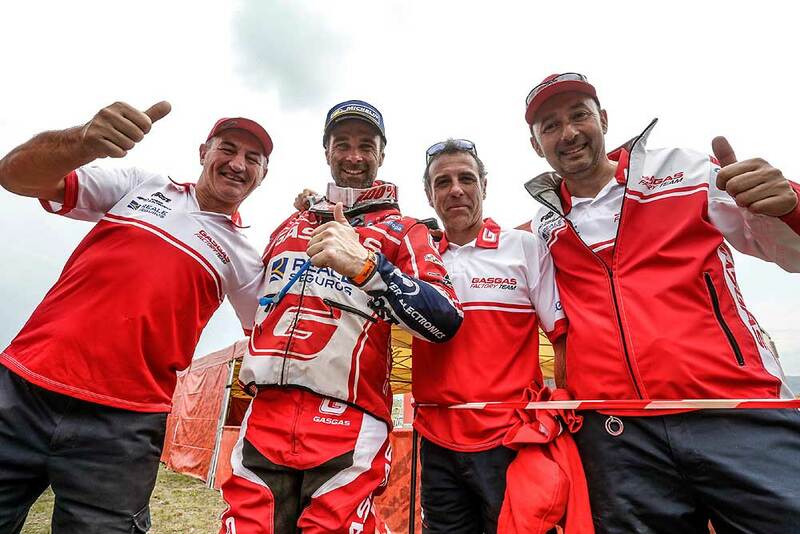 So I can only say that it was an impressive Dakar and that we are all very happy."